Mitchell v. City of Warren, a case from the United States Court of Appeal for the Sixth Circuit, involved a rather unusual set of circumstances that resulted in the tragic death of plaintiff. 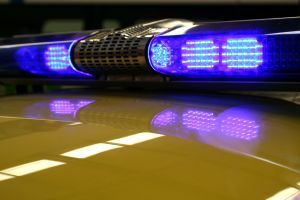 According to court records, an officer responded to a call for assistance to provide backup to another officer who was in the process of conducting a traffic stop. The first officer alleged plaintiff was driving with expired license plates when the officer initiated the traffic stop. The 16-year-old plaintiff then allegedly ran from his car and tried to hide in an abandoned house. The second responding officer arrived as the first officer was attempting to secure plaintiff. At this point, there was a struggle between plaintiff and arresting officers, and second responding officer took out his police-issued taser and fired at plaintiff. As our Boston personal injury attorneys can explain, tasers work somewhat differently that most people are aware. The devices actually fire a barbed projectile, called a taser dart, that resembles a miniature harpoon or straightened fish hook. The dart has a barb at the end that is designed to go through clothing and pierce suspect’s skin, where it gets embedded. After being tased, paramedics often have to cut the barb off the dart in order to remove it from suspect. A taser fires two darts at the same time. In this case, one dart hit plaintiff in his heart. The second dart hit plaintiff a few inches below his heart. Suspect fell to the ground and was nonresponsive. The taser current had stopped plaintiff’s heart. Police called an ambulance to the scene, but paramedics were unable to revive plaintiff, and he was pronounced dead on scene. Victim’s family filed a lawsuit against the city, the officers, and the maker of the taser device. The city settled the other claims, and the lawsuit proceeded against the maker of the taser. As part of the discovery process, officers testified the manufacturer trained that the device was safe even if it was fired at a suspect’s chest. The defendant filed a motion to dismiss the case, claiming, under Michigan law, there was no duty to warn a buyer of a risk after the product was sold, and there was no duty assumed by performing a training series. There was no proof the officer who fired at suspect would have ever seen a warning, had one been issued. Unfortunately for plaintiff’s family, appellate court affirmed summary judgment for the defendant. It is not clear that the result would be the same had the case occurred in Massachusetts, as our courts tend to side with plaintiffs is many situations. Massachusetts, and Boston especially, is no stranger to cases involving people injured or killed by supposedly non-lethal or less lethal weapons. Many will recall the 18-year-old Emerson student who was killed during a celebration following the Patriots Super Bowl. In this incident, a paintball filled with pepper spray was allegedly fired at point black range, and it went through her eye, causing deadly brain damage.